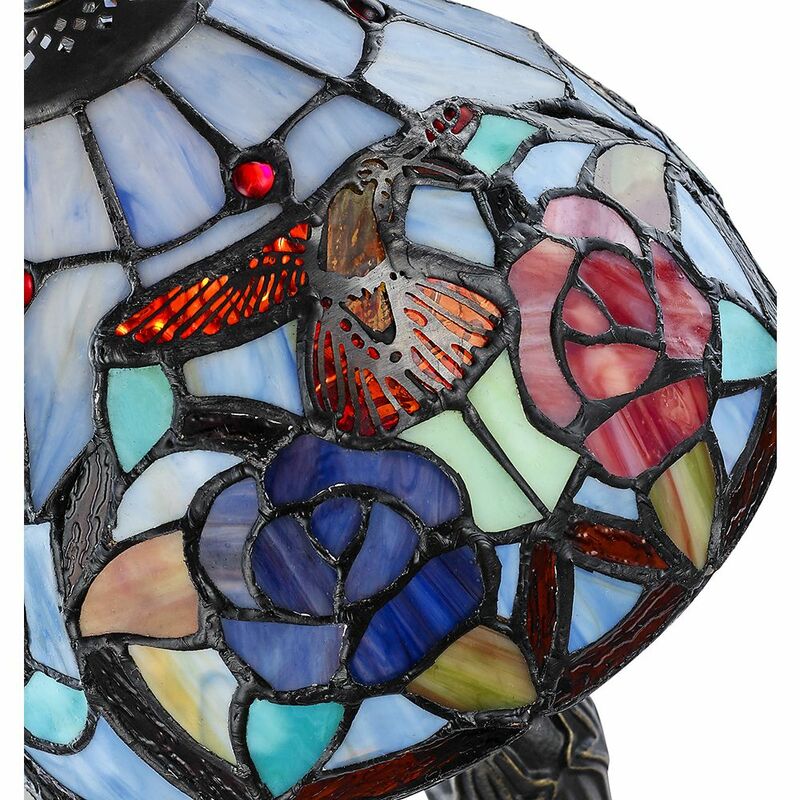 Beautifully 100% hand crafted humming bird tiffany table lamp with multi-coloured floral stained glass shade. 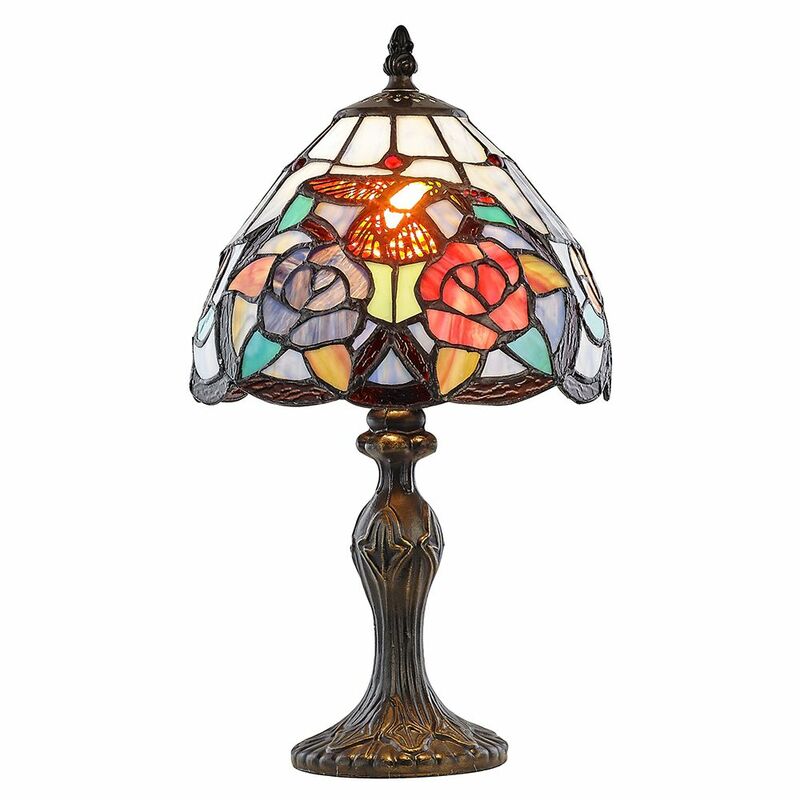 Features intricately designed antique bronze cast resin base. 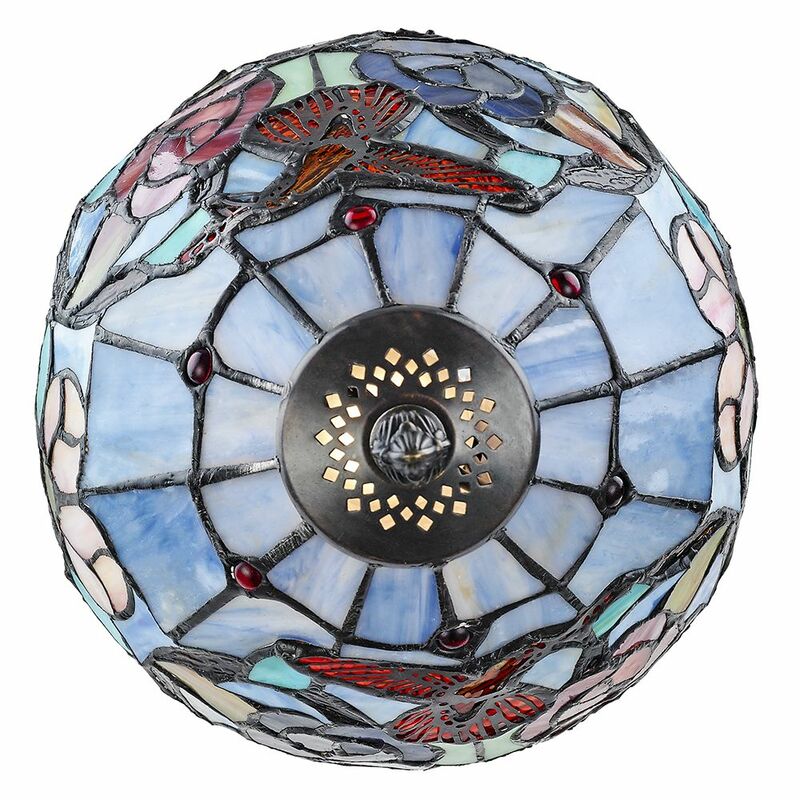 Measures - Height: 36cm, Diameter: 22cm. Includes inline on/off rocker switch button. Please note that oil is used in the manufacturing process, upon first use please wipe off any excess oil with a dry cloth. Requires 1 x 40watt SES (E14) bulb (not included). 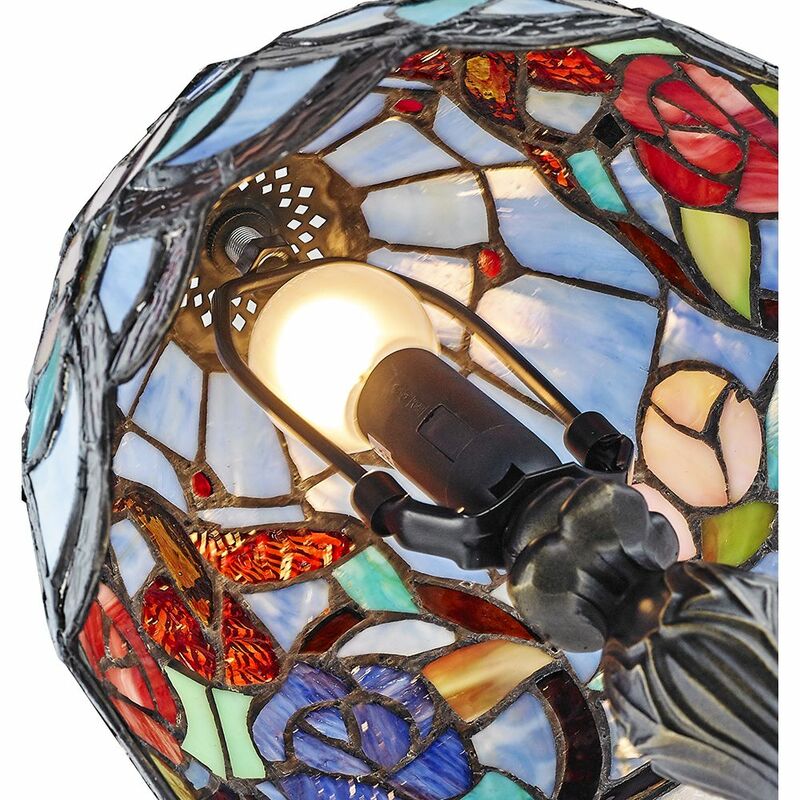 LED and low energy bulbs may be used if desired.